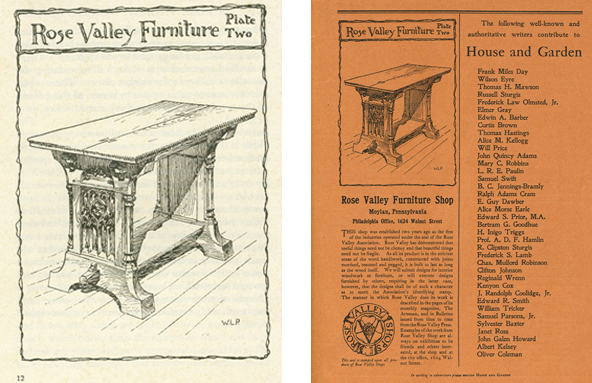 Among the earliest designs produced under the direction of JohnMaene at the Rose Valley Shops, this table was drawn by Will Price himself for an illustration in the first issue of The Artsman, Volume I, number 1 and appeared in several early Rose Valley Shops advertisements including House and Garden and thus may be dated to before 1903. 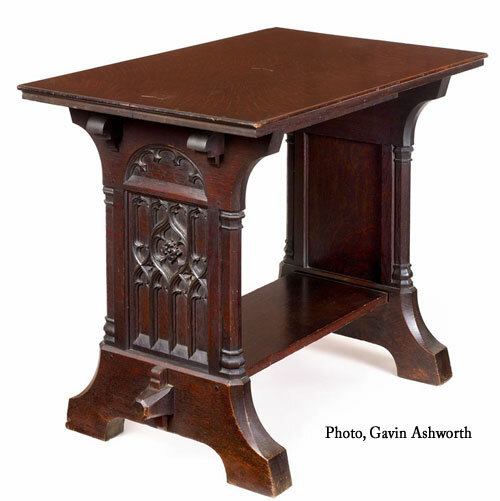 This exceptionally well-documented table appears with other pieces of Rose Valley furniture in a period photograph now in the collections of the Athenaeum of Philadelphia. 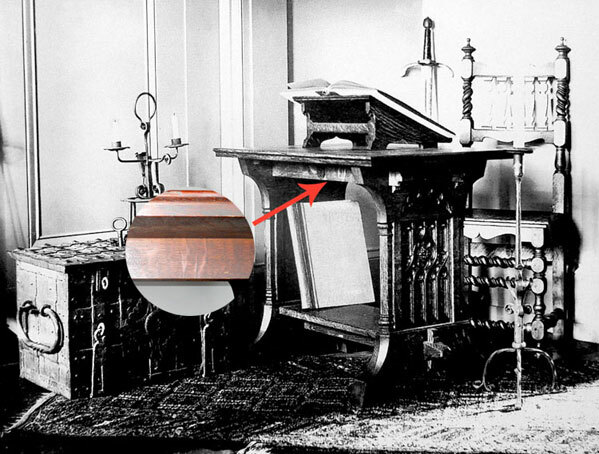 The unique grain pattern of the quartered oak on the recently discovered table matches the grain on the table in this circa 1903 photograph. The table will be discussed and illustrated in “William Lightfoot Price: His Furniture and Its Context” American Furniture, Chipstone Foundation, 2012. 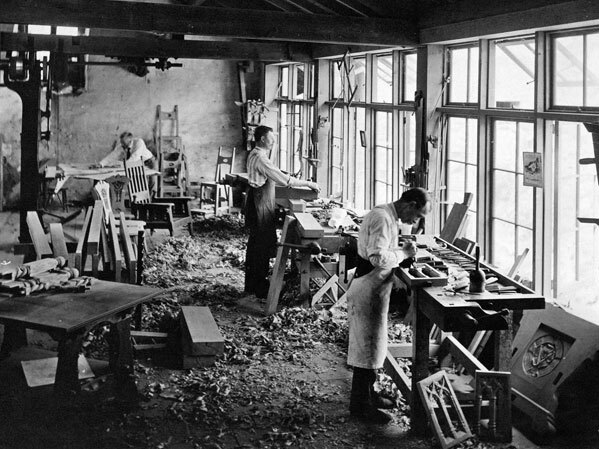 John Maene at work in the Rose Valley woodworking shop circa 1903; Will Price is at the drawing table in the back of the room. John Maene (1869-1945) and his uncle Edward (1852-1931) learned to carve wood and stone in Belgium. John immigrated to the United States in the early 1880’s. 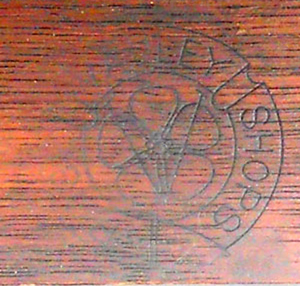 By 1894 he had a workshop in Philadelphia and was advertising himself as a sculptor offering “Art Furniture,” as well as “Interior and exterior decorations.” Both craftsmen produced sculptural elements for architects like Wilson Eyre and Edward had a thriving cabinetmaking business producing carved furniture of the highest quality. John worked in his uncle’s shop until he became the foreman of the Rose Valley furniture shops in 1902. After the Rose Valley shops closed in 1906, John returned to his Philadelphia shop. Edward supplied all the woodwork for the George Washington Memorial Chapel in Valley Forge. Price provided drawings for every detail of Rose Valley furniture and then oversaw its production so he could control the style of carving. 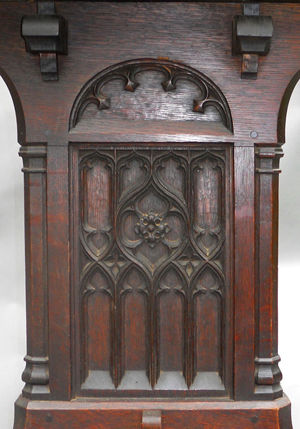 The ornamentation the Maenes carved for Price always exhibits subtle facets left by the shallow gouges, but Price believed in using modern planning machines so one never sees the marks of hand tools on the undecorated, flat surfaces of Rose Valley furniture. 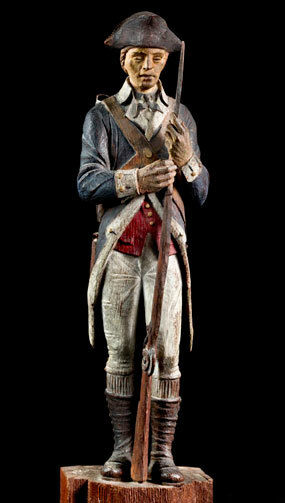 Polychrome wooden soldier carved by Edward Maene for the Washington Memorail Chapel circa 1917.